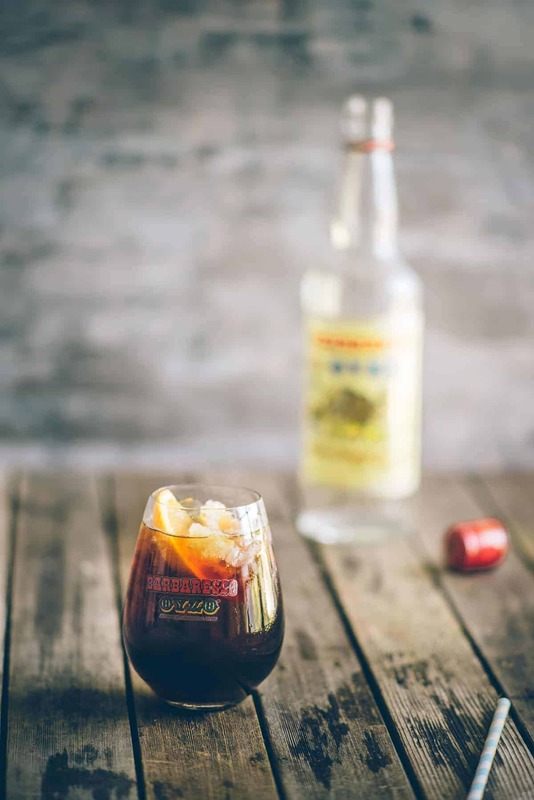 Make this Barbaresso ouzo cocktail for your next drinks soiree. It’s bold, strong and different. Anyone who visits the blog on a regular basis, knows what an appreciation I have for all things aniseed. So you can imagine my joy and delight when the people at Barbaresso Ouzo contacted me to develop a series of recipes. These will feature on the blog over the next few weeks. 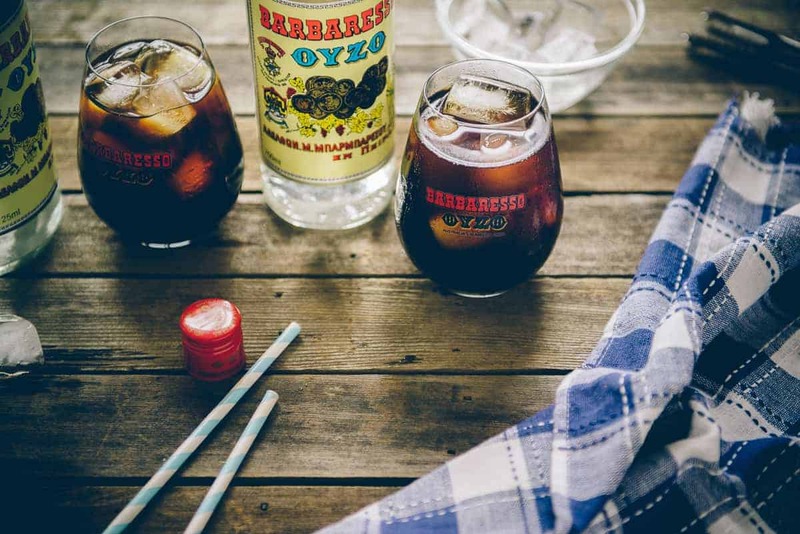 For those not in the know, Barbaresso Ouzo is Australia’s number one ouzo. It uses the smoothest aniseed oil to make this spirit the best in its class. It’s like having a little bit of Greece right here in Australia! There are many ways to enjoy ouzo. Custom dictates that it’s best served straight up. Or perhaps with a little ice and water. Nice and simple. Today though, I’m going to take it up a notch. I’m going to be using Barbaresso Ouzo in a bold cocktail. It uses brewed coffee, a sweet fennel syrup, a little of your favourite coffee flavoured liqueur and a touch of citrus to bring it all together. My inspiration for creating this cocktail came from Greece of course! I thought of frappe (the Greek version of iced coffee) and summer. If you’ve ever visited Greece you’d know the two are synonymous. Imagine cooling off in the evening with one of these beauties! It’s a little bit “dramatic” and definitely different. That’s why you should make it! And I’m calling it “The Bold Greek”. Not to be confused with this bald Greek…ahem! Espresso Martini? That’s so last year! A bold, strong ouzo cocktail flavoured with sweet fennel syrup and orange. Add the fennel syrup, ouzo and coffee flavoured liqueur and stir. Top with chilled brewed coffee and garnish with an orange slice. Lightly grind the fennel seeds using a mortar and pestle. Grind them just enough to release the oils. Do not turn the seeds into a fine powder. Combine lightly ground seeds, sugar, and water in a saucepan over a medium-high heat. Allow the mixture to come to a boil. Cook for 5 minutes until it slightly thickens. Strain the syrup, and let it cool before using in a cocktail. Don’t be afraid of the sweet fennel syrup. It complements the flavours of the aniseed in the ouzo. It's a match made in heaven. * I used a brewed coffee made in an “french press” or plunger as we say here in Australia. It produces a smoother coffee that once cooled is perfect in cocktails. * You can use any of your favourite coffee based liqueurs. If you don’t have any on hand it’s still fine. I just think it adds an extra “kick” to the whole coffee flavour. * I’ve topped my cocktail with an orange slice, which works like magic with the light citrus notes of the ouzo. Souvlaki For The Soul would like to acknowledge its partnership with Barbaresso Ouzo for this sponsored post. The recipe above was created, developed and photographed by Souvlaki For The Soul using Barbaresso Ouzo.